Adrian Brown took the following image of M106 (NGC 4258) in April 2007. He used a clear infra-red blocking filter and a light pollution filter with an ATIK ATK16HR camera through a Skywatcher 80ED Pro refractor at f7.5. 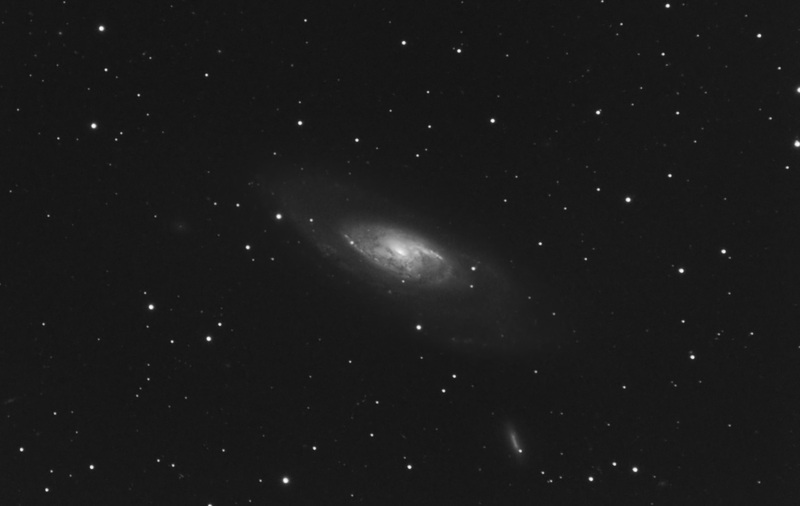 This was guided using an ATIK ATK-2HS camera through a Skywatcher 80T refractor. The set up was mounted on a Celestron CGE mount. The image is comprised of 41 x 5 minute exposures.